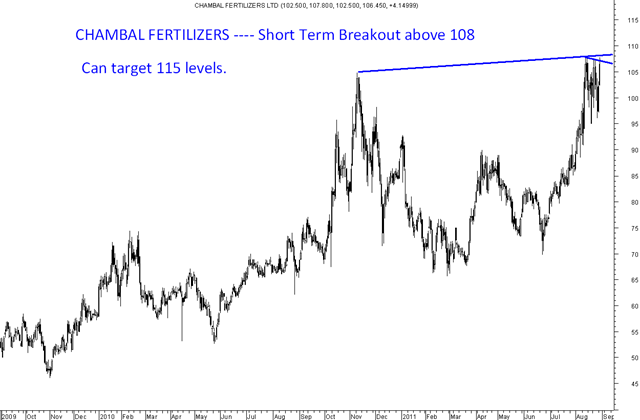 Chambal on a short term breakout above 107-108 can give a target of 115 in near term. 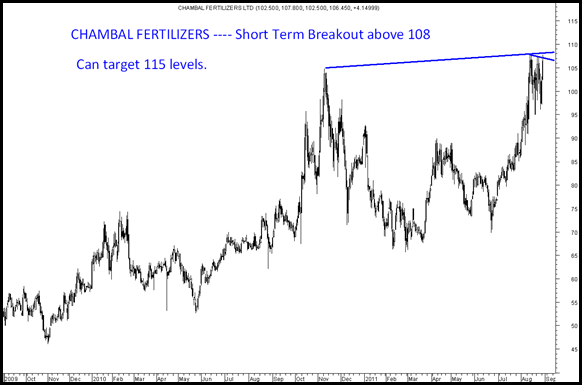 On weekly charts we can see a perennial resistance in the band of 108-115. 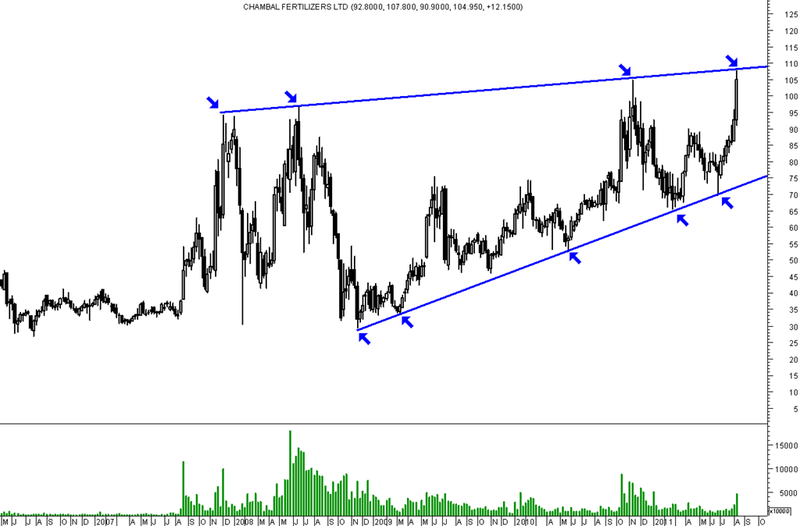 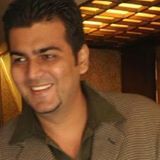 The stock may be on verge of a long term breakout which can even give 30% + returns over the next few months. 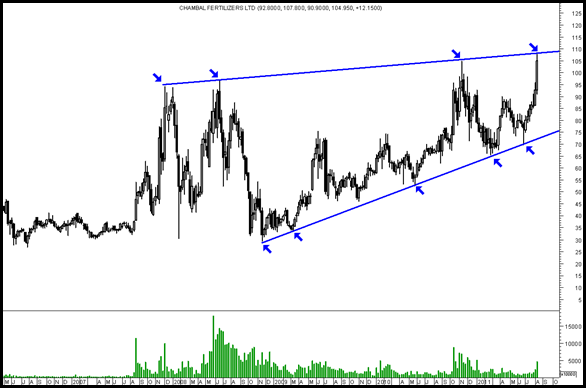 Disclosure: Have recommended it to clients at lower levels.